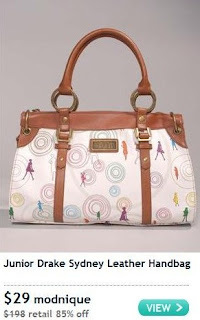 86% off Junior Drake Handbags = $25 for a $178 Bag! + $5 Credit to New Shoppers! 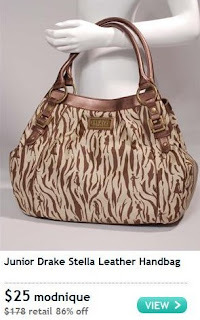 Wow, if you've been looking for a new handbag, I highly suggest checking out the Junior Drake sale going on at Modnique right now! Bags are up to 86% off, which means you can get the $178 bag pictured above for just $25! Even better, if you're a new Modnique shopper, you'll get an instant $5 credit when you sign up, allowing you to get it for an amazing $20! There's tons of bags on sale...big, little, funky and functional!